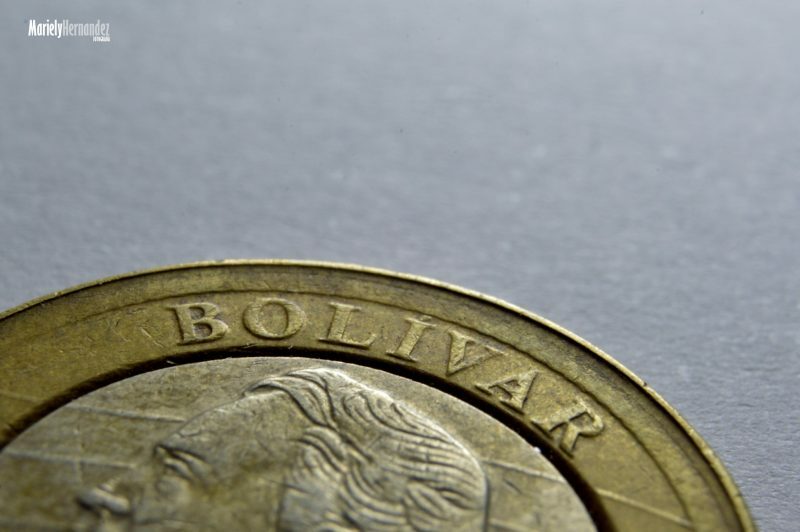 “Bolivar, the weak”. Photo by Flickr user Mariely Hernández. Used under CC 2.0 license. On Sunday, May 28, the Wall Street Journal  reported that the U.S.-based multinational finance firm Goldman Sachs purchased $2.8 billion dollars in Venezuelan bonds at 31 cents on the dollar. The bonds were issued by the state-run oil company PDVSA  and will mature in 2022, effectively giving the cash strapped, highly questioned Venezuelan government more than $865 million dollars. Most people might think there is nothing unethical about taking advantage of a potentially lucrative deal. But once you understand who they purchased the bonds from, you might think you are watching a new Netflix crossover of Narcos and The Big Short. Nicolás Maduro, Hugo Chavez's handpicked successor, has not commanded public support and respect at the level of his predecessor. Amid a three-year economic crisis and record levels of violent crime and poverty, Maduro's popularity dipped even more after a self-inflicted coup d’état on March 30, when the Supreme Court assumed the role of the National Assembly  and permitted President Maduro to take over some of the functions of the legislature — a move that was reversed three days later. The Venezuelan opposition was not alone in condemning the political move: the U.S. sanctioned eight Venezuelan Supreme Court judges , freezing their assets and banning them from traveling to the United States, as punishment for stripping the Venezuelan Congress. What makes matters worse is the fact that even though Venezuela has carried out elections, there is no real separation of power. The judicial system has been used to silence political opposition and free press but has given a pass to corrupt politicians, drug traffickers, kidnappers, and murderers. This has made the country one of the most violent and dangerous places in the world, with more than 25,000 reported murders in 2016 for a population slightly over 30 million. Venezuela is known as one of the largest drug bridges in the world. It is home to “El Cartel de los Soles” (Cartel of the Suns ), a drug ring run by government officials and high ranking officers in the armed forces, in collaboration the Colombian narco-terrorist organization FARC. The cartel gets its name from the the medals high ranking officers carry on their shoulders. Important members of the military and government have been charged by the US for drug trafficking. Among the more prominent cases are the nephews of Venezuela’s first lady, convicted of conspiring to transport cocaine to the United States and the Venezuelan Vice President Tarek El Aissami who had $3 billion in assets frozen under the Foreign Narcotics Kingpin Designation Act. […] Goldman Sachs seems to not care if they are in fact giving working capital to the authoritarian drug ring that runs the country so it can stay afloat. And before someone jumps in and argues that the bonds were purchased from Venezuela’s central bank and not these criminals, understand that these national organizations are run like personal businesses by the ministers, hand picked by Maduro. There is not oversight and the more than $800 million paid by the investment institution will be most likely used keep them in power. On top of the immediate damage Goldman Sachs is doing to the Venezuelan people, in 2022 when the bonds mature, the country will most likely not be recovered from the economic disaster caused by the 21st century socialist revolution. They have sold off and bankrupted a large part of the country’s productive apparatus, failed to invest in infrastructure, created no alternative sources of income, amassed debt with China, Russia and international banks and is already at high risk to default. But looking back at how Goldman Sachs operates, they most likely don’t care that Venezuela will not be able to be held accountable for the bonds. By that time they probably will have already packaged and sold the bonds to the American people and hedged against them, exactly like they did a decade ago.